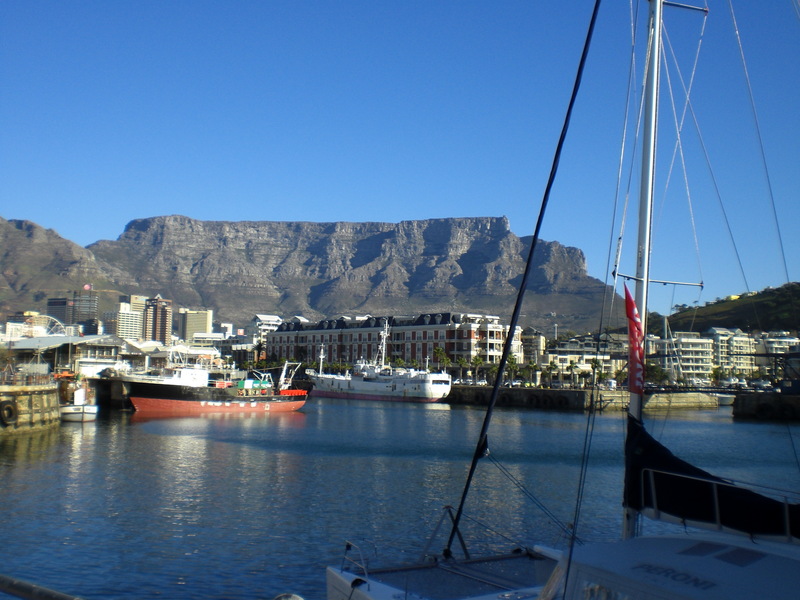 I love Cape Town, it is a vibrant and exciting place. When in need of some relaxation and a break from tasting and judging wines, then a stroll around Cape Town’s Victoria and Alfred Waterfront is absolutely perfect. The air is lovely, there are shops that cater to every need and want and bars and restaurants galore. In fact the only downside is the abundance of dive-bombing seagulls. The Waterfront is a gentrified harbour that has been spruced up and turned into a shopping centre and leisure complex, as found the world over from San Francisco to Valencia, but it is very well done and provides a splendid place to relax.